"If I could give them more than 5 stars, I would"
Both BOTOX and Dysport are wrinkle relaxers used to treat and soften lines and wrinkles along the forehead. Fillers such as Juvéderm and Restylane are used to treat nasolabial folds, increase facial volume, or plump lips. Our injectors are skilled in using Sculptra to give subtle improvement to fine lines, wrinkles, and loss of facial volume. Kybella is an injectable alternative to liposuction, used to treat submental fat cells beneath the chin for a smoother profile. With so many options these days when it comes to fighting signs of aging, REFINE Medical Spa provides advances facial aesthetic procedures to help combat this pesky epidemic. By only hiring the most experienced and skilled providers, we are able to assess and deliver the highest quality procedures that are specifically designed to exceed patient expectations. Don't trust your face to just anyone. Reserve your experience today! 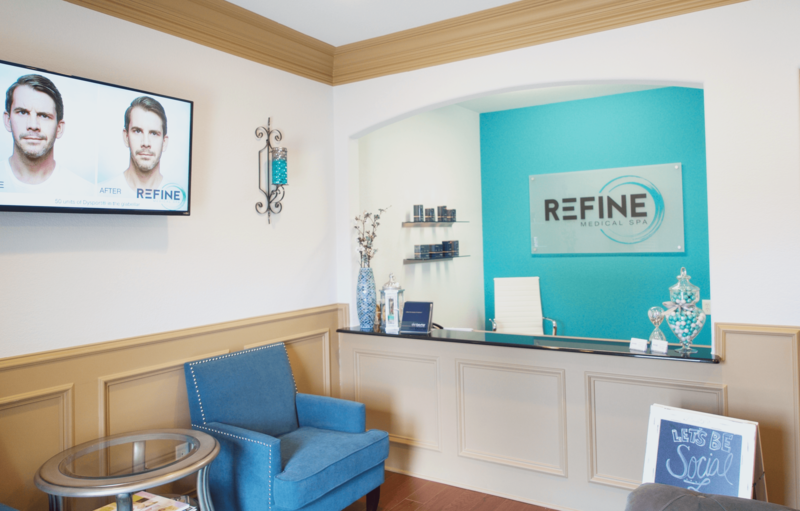 Take a tour of REFINE Medical Spa and see what the patient experience looks like! Read what our clients have to say about our MedSpa and the services we provide. Meet our staff members and learn about their experience and amazing service. Learn about the services and treatments we offer and call today to book your appointment.